« Friday on the Farm 6/09/17: Peaches and Pigs! Last month we did a rabbit trade and acquired a new, unrelated buck for our rabbitry. Everyone please welcome Miles Davis, Jr! He comes to us from Kentucky, and we love that he’s a big guy weighing in at over 10lbs! No kits sired by him have been born yet, but we are excited to see how they grow. Miles will also allow us to continue providing breeding stock to our repeat customers who are interested in new bloodlines. The acquisition of Miles Davis, Jr. is just one of several updates we’ve done to our rabbitry stock. Visit the Our Rabbits page to see all of our current breeders. We have several young litters that will be available as breeding stock over the summer. 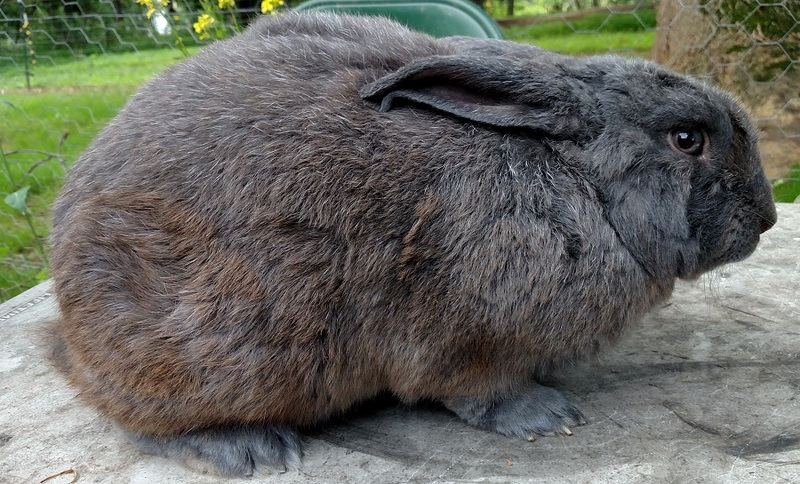 Visit our breeding stock page and fill out an order form if you’d like to get rabbits today!